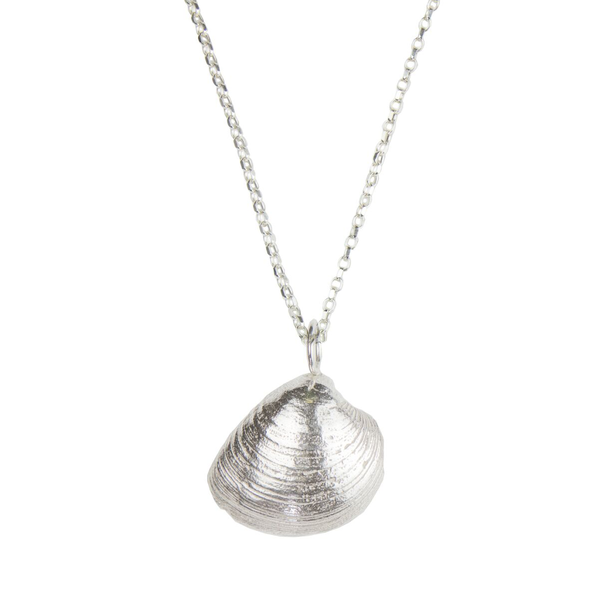 This solid silver pendant, cast into the shape of a Raasay shell, hangs of a stunning 24″ Sterling silver belcher chain. It is so realistic it’s hard to believe that it’s not a real shell! There is a lovely, solid weight to the pendant and really adds to it’s look when you see them in real life. A beautiful and unique gift to yourself or a loved one. Great value for money, excellent workmanship and first class service from Fiona.